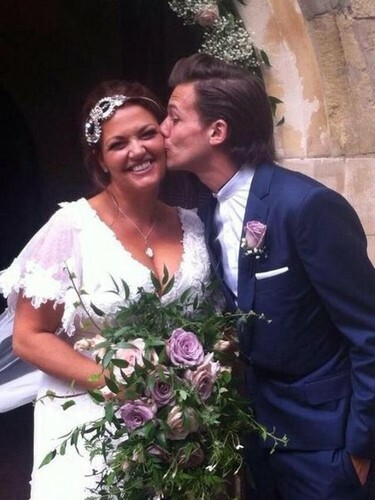 Louis with his mom at her wedding. 20/07/14. . Wallpaper and background images in the Louis Tomlinson club tagged: photo. This Louis Tomlinson photo contains bouquet, corpetto, posy, mazzo di fiori, corsage, nosegay, and damigella d'onore.